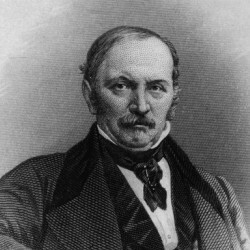 Hippolyte Léon Dénizard Rivail, better known by his nom de plume of ALLAN KARDEC, was born at Lyons, on the 3rd of October 1804, of an old family of Bourg-en-Bresse, that had been for many generations honourably distinguished in the magistracy and at the bar. His father, like his grandfather, was a barrister of good standing and high character; his mother, remarkably beautiful, accomplished, elegant, and amiable, was the object, on his part, of a profound and worshipping affection, maintained unchanged throughout the whole of his life. Educated at the Institution of Pestalozzi, at Yverdun (Canton de Vaud), he acquired at an early age the habit of investigation and the freedom of thought of which his later life was destined to furnish so striking an example. Endowed by nature with a passion for teaching, he devoted himself, from the age of fourteen, to aiding the studies of those of his schoolfellows who were less advanced than himself; while such was his fondness for botany, that he often spent an entire day among the mountains, walking twenty or thirty miles, with a wallet on his back, in search of specimens for his herbarium. Born in a Catholic country, but educated in a Protestant one, he began, while yet a mere boy, to meditate on the means of bringing about a unity of belief among the various Christian sects-a project of religious reform at which lie laboured in silence for many years, but necessarily without success, the elements of the desired solution not being at that time in his possession. Having finished his studies at Yverdun, he returned to Lyons in 24, with the intention of devoting himself to the law; but various acts of religious intolerance to which he unexpectedly found himself subjected led him to renounce the idea of fitting himself for the bar, and to take up his abode in Paris, where he occupied himself for some time in translating Telemachus and other standard French books for youth into German. Having at length determined upon his career, he purchased, in 1828, a large and flourishing educational establishment for boys, and devoted himself to the work of teaching, for which, by his tastes and acquirements, he was peculiarly fitted. In 1830 he hired, at his own expense, a large hall in the Rue de Sèvres, and opened therein courses of gratuitous lectures on Chemistry, Physics, Comparative Anatomy, and Astronomy. These lectures, continued by him through a period of ten years, were highly successful, being attended by an auditory of over five hundred persons of every rank of society, many of whom have since attained to eminence in the scientific world. Of the numerous educational works published by him may be mentioned, A Plan for the’ Improvement of Public Instruction. submitted by him in 1828 to the French Legislative Chamber, by which body it was highly extolled, though not acted upon; A Course of Practical and Theoretic Arithmetic, on the Pestalozzian System, for the’ use of Teachers and Mothers (1829); A Classical Grammar of the French Tongue (1831); A Manual for the use of Candidates for Examination in the Public Schools; with Explanatory Solutions of various Problems of Arithmetic and Geometry (1848); Normal Dictations for the Examinations of the Hotel de Ville and the Sorbonne, with Special Dictations on Orthographic Difficulties (1849) These works, highly esteemed at the time of their publication, are still in use in many French schools; and their author was bringing out new editions of some of them at the time of his death. He was a member of several learned societies; among others, of the Royal Society of Arras, which, in 1831, awarded to him the Prize of Honour for a remarkable essay on the question, “What is the System of Study most in Harmony with the Needs of the Epoch?” He was for several years Secretary to the Phrenological Society of Paris, and took an active part in the labours of the Society of Magnetism, giving much time to the practical investigation of somnambulism, trance, clairvoyance, and the various other phenomena connected with the mesmeric action. This brief outline of his labours will suffice to show his mental activity, the variety of his knowledge, the eminently practical turn of his mind, and his constant endeavour to be useful to his fellow-men. The book thus produced and published sold with great rapidity, making converts not in France only, but all over the Continent, and rendering the name of ALLAN KARDEC “a household word” with the readers who knew him only in connection with it; so that he was thenceforth called only by that name, excepting by his old personal friends, with whom both he and his wife always retained their family-name. Soon after its publication, he founded The Parisian Society of Psychologic Studies, of which he was President until his death, and which met every Friday evening at his house, for the purpose of obtaining from spirits, through writing mediums, instructions in elucidation of truth and duty. He also founded and edited until he died a monthly magazine, entitled La Revue Spirite, Journal of Psychologic Studies, devoted to the advocacy of the views set forth in The Spirit’s Book. Similar associations were speedily formed all over the world. Many of these published periodicals of more or less importance in support of the new doctrine; and all of them transmitted to the Parisian Society the most remarkable of the spirit-communications received by them. An enormous mass of spirit-teaching, unique both in quantity and in the variety of the sources from which it was obtained, thus found its way into the hands of ALLAN KARDEC by whom it was studied, collated, co-ordinated, with unwearied zeal and devotion, during a period of fifteen years. From the materials thus furnished to him from every quarter of the globe he enlarged and completed THE SPIRITS’ BOOK, under the direction of the spirits by whom it was originally dictated; the “Revised Edition” of which work, brought out by him in 1857 (vide “Preface to the Revised Edition,” p. 19) has become the recognised textbook of the school of Spiritualist Philosophy so intimately associated with his name. From the same materials he subsequently compiled four other works, viz., The Mediums’ Book (a practical treatise on Medianimity and Evocations), 1861; The Gospel as Explained by Spirits (an exposition of morality from the spiritist point of view), 1864; Heaven and Hell (a vindication of the justice of the divine government of the human race), 1865; and Genesis (showing the concordance of the spiritist theory with the discoveries of modern science and with the general tenor of the Mosaic record as explained by spirits), 1867. He also published two short treatises, entitled What is Spiritism? and Spiritism Reduced to its Simplest Expression. It is to be remarked, in connection with the works just enumerated, that ALLAN KARDEC was not a “medium,” and was consequently obliged to avail himself of the medianimity of others in obtaining the spirit-communications from which they were evolved. The theory of life and duty, so immediately connected with his name and labours that it is often erroneously supposed to have been the product of his single mind or of the spirits in immediate connection with him, is therefore far less the expression of a personal or individual opinion than are any other of the spiritualistic theories hitherto propounded; for the basis of religious philosophy laid down in his works was not, in any way, the production of his own intelligence, but was as new to him as to any of his readers, having been progressively educed by him from the concurrent statements of a legion of spirits, through many thousands of mediums, unknown to each other, belonging to different countries, and to every variety of social position. Among the thousands by whom he was thus visited were many of high rank in the social, literary, artistic, and scientific worlds. The Emperor Napoleon III., the fact of whose interest in spiritist-phenomena was no mystery, sent for him several times, and held long conversations with him at the Tuileries upon the doctrines of THE SPIRITS’ BOOK. 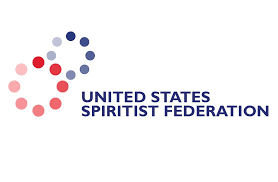 Having suffered for many years from heart-disease, ALLAN KARDEC drew up, in 1869, the plan of a new spiritist organization, that should carry on the work of propagandism after his death. In order to assure its existence, by giving to it a legal and commercial status, he determined to make it a regularly constituted joint-stock limited liability publishing and bookselling company, to be constituted for a period of ninety-nine years, with power to buy and sell, to issue stock, to receive donations and bequests, etc. To this society, which was to be called “The Joint Stock Company for the Continuation of the Works of ALLAN KARDEC,” he intended to bequeath the copyright of his spiritist writings and of the Revue Spirite. But ALLAN KARDEC was not destined to witness the realization of the project in which he took so deep an interest, and which has since been carried out with entire exactitude by his widow. On the 31st of March 1869, having just finished drawing up the constitution and rules of the society that was to take the place from which he foresaw that he would soon be removed, he was seated in his usual chair at his study-table, in his rooms in the Rue Sainte Anne, in the act of tying up a bundle of papers, when his busy life was suddenly brought to an end by the rupture of the aneurysm from which he had so long suffered. His passage from the earth to the spirit-world, with which he had so closely identified himself, was instantaneous, painless, without a sigh or a tremor; a most peaceful falling asleep and reawaking-fit ending of such a life. His remains were interred in the cemetery of Montmartre, in presence of a great concourse of friends, many hundreds of whom assemble there every year, on the anniversary of his decease, when a few commemorative words are spoken, and fresh flowers and wreaths, as is usual in Continental graveyards, are laid upon his tomb. It is impossible to ascertain with any exactness the number of those who have adopted the views set forth by ALLAN KARDEC; estimated by themselves at many millions, they are incontestably very numerous. The periodicals devoted to the advocacy of these views in various countries already number over forty, and new ones are constantly appearing. The death of ALLAN KARDEC has not slackened the acceptance of the views set forth by him, and which are believed by those who hold them to be the basis, but the basis only, of the new development of religious truth predicted by Christ; the beginning of the promised revelation of “many things” that have been “kept hidden since the foundation of the world,” and for the knowledge of which the human race was “not ready” at the time of that prediction. In executing, with scrupulous fidelity, the task confided to her by ALLAN KARDEC, the translator has followed, in all quotations from the New Testament, the version by Le Maistre de Sacy, the one always used by ALLAN KARDEC.